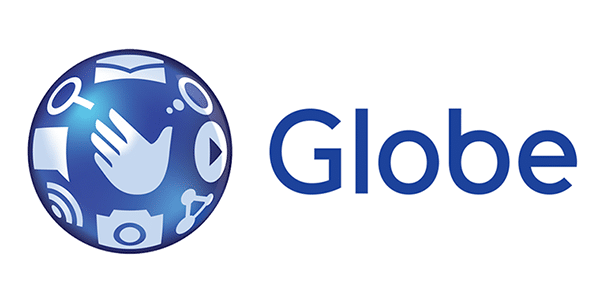 Most of us are on Globe GoSURF. Are you? - All Chucked Up! 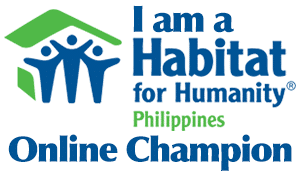 You are Here >> Home >> Featured >> Most of us are on Globe GoSURF. Are you? You see, as smart devices increase penetration, so does the demand for reliable and efficient data plans. We need close to faultless mobile data service since mobile devices are slowly becoming our primary mode of connecting to the internet. And we know that as much as the Fair Use Policy is needed to keep internet connection quality in tip-top shape before, it is also becoming a stumbling block to how much data we can actually consume on a daily basis. That’s why I immediately jumped on the opportunity to move to Globe GoSURF when it was first offered. It is obviously a far more superior data package than SuperSurf. GoSURF provides more data and is actually cheaper than previously offered plans. And like I said, it seems a lot of folks I know have realized how much better these new Globe GoSURF plans are. It’s amusing how some of my friends used to wait (or even look) for a wifi hotspot before in order to check their social media accounts and surf the web. Now, most of whom I’ve spoken to or interacted with are already actually online 24/7 via GoSURF – without fear of data throttling. I get to chat with them anytime and anywhere without even thinking if they’re online at any given moment. Now THAT is cool. 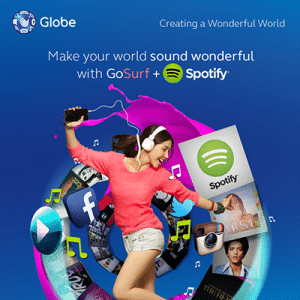 It seems, from what I’ve heard… 90% of Globe customers now opt for Globe GoSURF to access the World Wide Web. Yep, 90%. Quite a testament to the impact this new offering has made to mobile data consumers in the country. 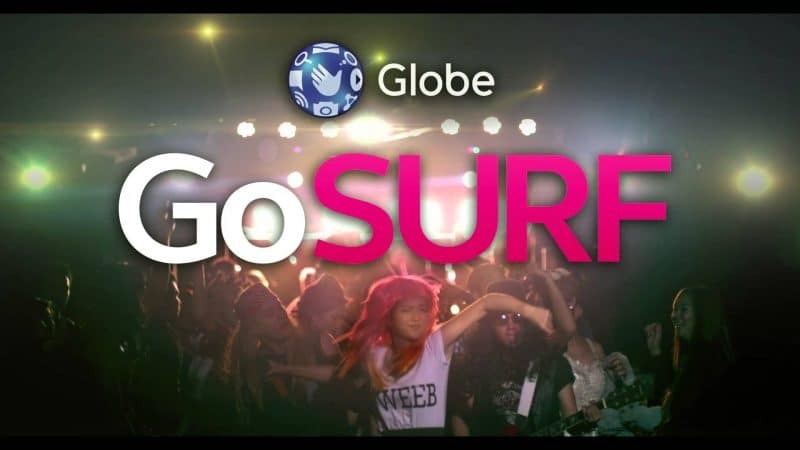 When in doubt, just remember this – Globe GoSURF is not subject to the Fair Use Policy (FUP). You are allowed to use up the purchased amount of data without being switched to slower speeds. Not only that… you only pay for the data you consume, whatever online activity that may be. It’s that simple. Oh, and let me not forget… a subscription to GoSURF also gives you 6 FREE months of Spotify Premium which I am totally in love with. And data consumed using Spotify doesn’t affect your GoSURF data allocation. Insane, right?! Oh! I even made some really cool Spotify movie soundtrack playlists which you can check out here. I’d also like to thank a good number of my friends who believed in my recommendation to switch to Globe GoSURF. They’re a bunch of happy campers now! Cheers, guys!